Famous fossils of an early hominid (Homo erectus), commonly referred to as Peking Man may be much older than scientists think, according to new research using a refined fossil dating technique. The research, which has just been published in the scientific journal “Nature”, dated fossils of these ancient hominids using a new radiometric technique involving the measuring of the decay of aluminium and beryllium in quartz associated with the fossils. Radiometric dating of fossils and rock strata is based on the amount of time it takes for certain radioactive substances to decay. Atoms with identical chemical properties, but different atomic weights, are called isotopes. Most elements are mixtures of different isotopes and radiometric dating measures the percentage decay of certain chemical isotopes over time within rocks and minerals. Every isotope decays at a known rate and by measuring the amount of decay an age of the rock or fossil can be calculated. This concept of radiometric dating based on the constant radioactive decay of isotopes was first studied in this country by physicists Ernest Rutherford and Arthur Holmes. An American Bertram Boltwood was engaged in similar work in the USA. Every radiometric date for a fossil calculated is dependent on the validity of certain assumptions, information tends to be provided allowing a range of dates to be proposed, + or – a few thousands or millions of years, depending on the object of study. The revised date for the Peking Man fossils, is very different from the one using other isotope measures. This new research, led by a team of Chinese scientists places the fossils over 280,000 years earlier, dating them to around 780,000 years ago (Pleistocene Epoch). Little is known about hominid evolution as the fossil record is so poor. H. erectus is not thought to be the direct ancestor of our own species (H. sapiens), but from the fossil record of H. erectus it has been calculated that this human species persisted longer on the planet than any other species of hominid. Fossil evidence indicates that the likes of Peking Man survived for approximately 2,000,000 years, eventually going extinct a mere 50,000 years ago. The new data could effect our current understanding of the migrations of hominid species out of Africa and their spread throughout the Old World. A lot of controversy has surrounded the discovery and excavation of H. erectus fossils. When the first evidence of this ancient species of human was found in Java in the 19th Century, the fossils were used to provide support for Darwin’s assertion that mankind was descended from apes. Many of the best hominid fossils from China were lost during the Second World War, but scientists such as palaeoanthropologists continue to study the existing fossils and look for new discoveries to help improve their understanding of human evolution. This new research dates some Chinese H. erectus material recovered from a famous set of caves in which over 40 individual early hominid skeletons were found. The new dates will have an impact on the dates attributed to the spread of this human species out of Africa, through southern Europe and the Middle East and finally into Asia. The research also indicates that Peking Man was able to survive in China during the much colder glacial periods that occurred during this part of the Pleistocene Epoch. 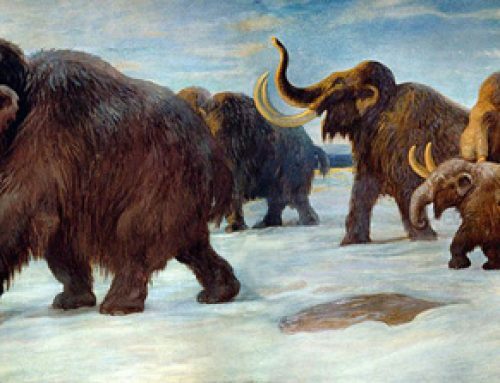 Previously, scientists had thought that Peking Man must have only migrated extensively during warmer interglacial periods, now this new data indicates that this adaptable species was able to cope with long periods of intense cold.